"Dr. Epstein and her staff are fantastic!" "Best Gynecologist I have ever had. She is kind, listens, talks, and takes her time!!" "Very caring, sweet and thorough. Best gynecologist I've ever been to." "The staff at Dr. Epstein's office was helpful, kind, and funny!" "Dr. Epstein and Nancy are great!! I recommend them to everyone." "Best gynecologist. She takes all the time you need to discuss any issues." "My experience with the staff and Dr. Epstein has always been positive." Debra Epstein, MD, is a board-certified gynecologist with a passion for preventive medicine. At her private practices in Maple Shade and Turnersville, New Jersey, Dr. Epstein offers gynecologic services for women at every stage of life — from childhood and adolescence to adulthood, menopause, and beyond. Dr. Epstein prides herself on delivering in-depth, compassionate care that allows her to build long-term relationships with the women who entrust their health to her. As a teenager in southern New Jersey, Dr. Epstein was inspired to become a gynecologist by noticing the lack of women in the field. She went on to earn both her bachelor’s degree and her MD in a six-year Honors Program in Medical Education at Northwestern University in Chicago. She then completed her internship and residency at Rush-Presbyterian-St. Luke's Medical Center. Dr. Epstein has been in private practice since 1992. Approximately 10 years ago, she shifted to a gynecology-only focus so that she could spend more time with her family and her patients. She is affiliated with Virtua Hospital-Mount Holly, where she served as chairman of OB/GYN Quality Assurance from 1994 to 2002. She is also a member of numerous prestigious medical associations, including the American College of Obstetricians and Gynecologists (ACOG) and the New Jersey Obstetrical and Gynecological Society. Dr. Epstein offers the latest high-tech services, including breast cancer gene testing. She also helps women feel beautiful with the Icon™ laser for hair removal and skin rejuvenation, as well as vaginal rejuvenation using MonaLisa Touch®. 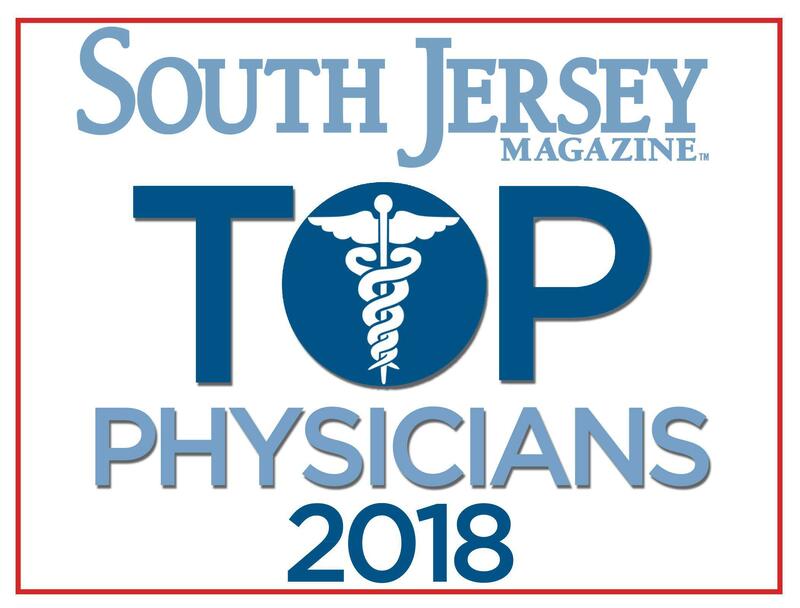 She was named “Top Physician for Women” in 2012 and 2017 by South Jersey Magazine. "Excellent care given by Dr. Epstein. Dr. Epstein is compassionate and knowledgeable. She spent a great deal of time with me and I left very satisfied." "Dr. Epstein has been my gynecologist for twenty five years. I have had a number of issues through the years and she has helped me through every one." "I absolutely love Dr. Epstein. I've been going to her for 15 years now and she's always been awesome. Very patient, knowledgeable and caring." "I have been a patient of Dr. Epstein's for the past four years and she is an amazing doctor. If you go to Dr. Epstein's office you will be very well taken care of!" "I immediately felt at ease with Dr. Epstein. Her genuine concern is apparent the moment you meet her. I felt very comfortable." "Dr. Epstein is kind, empathetic, professional, and detailed. Office is neat and orderly. Staff members are kind and professional in dress and demeanor." "I've been going to Dr. Epstein for 15+ years and recommend her to everyone that I know. She takes the time to talk to you and cares about each patient." "Dr. Epstein is a warm and approachable doctor. The moment you enter her office you are at ease and can discuss your problems." "Dr. Epstein helped educate me on my condition and gave me options. I felt comfortable with her from the first time I met her."